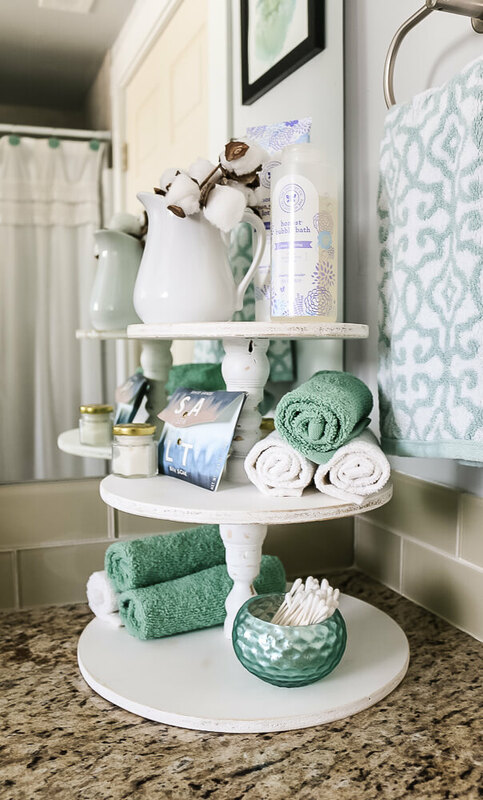 Bathrooms are often some of the smallest and busiest spaces in our homes, so it’s easy for them to get cluttered and disorganized. 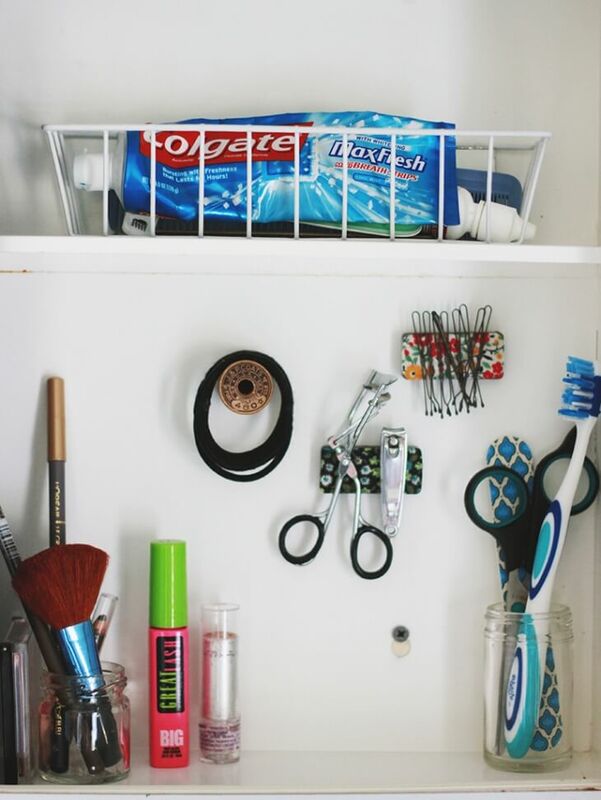 When you’re trying to get yourself or your family ready in the morning, that clutter can really get your day off to a rough start. 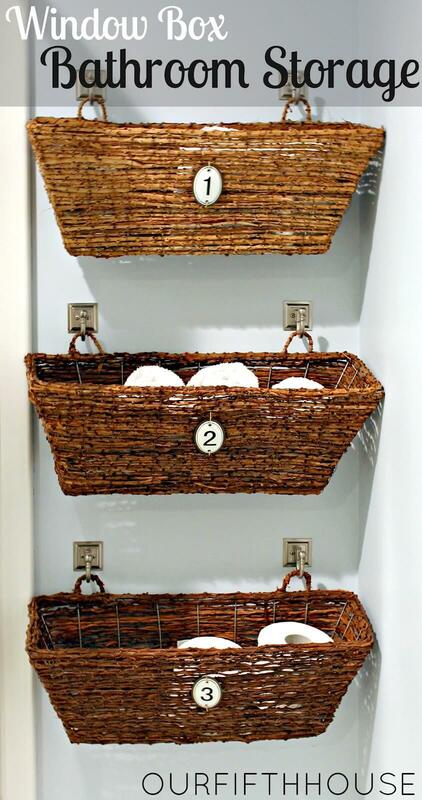 Thankfully, it doesn’t require a pricey remodel or brand new fixtures to take back your space! 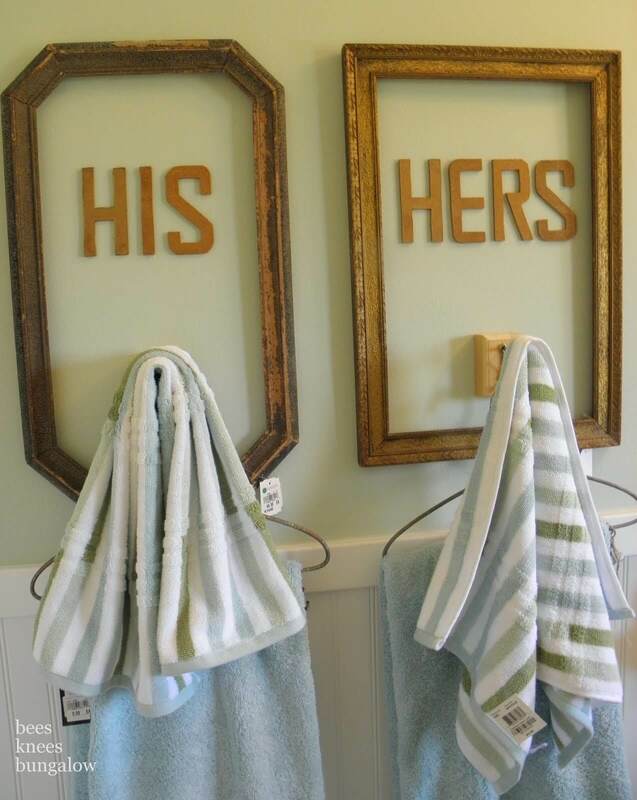 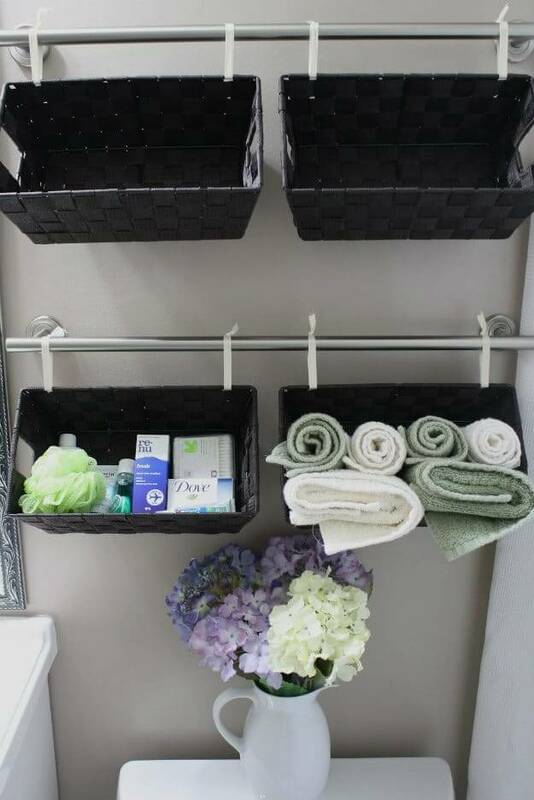 Just about every bathroom is only a few do it yourself projects away from a cleaner, more organized look. 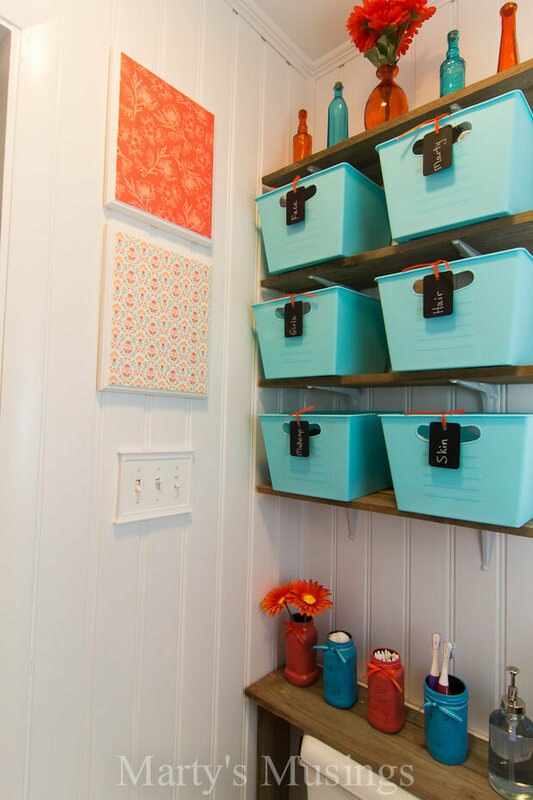 First, take a moment to decide what kind of storage you need most. 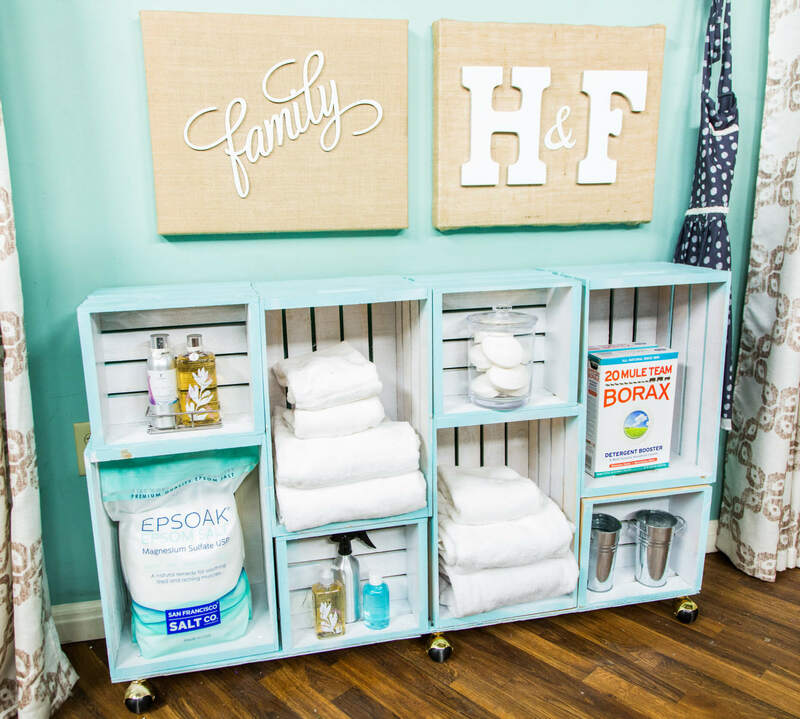 Are extra towels taking up too much shelf space, or has your nail polish collection grown until it’s taking over the counter? 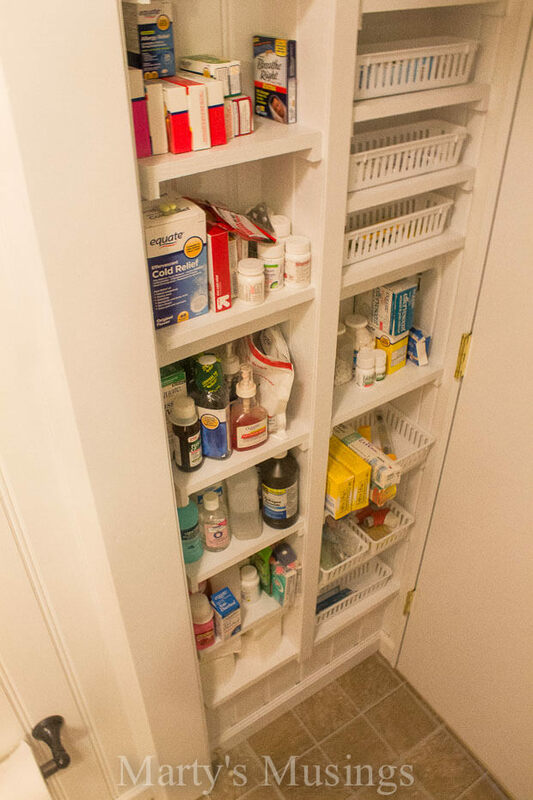 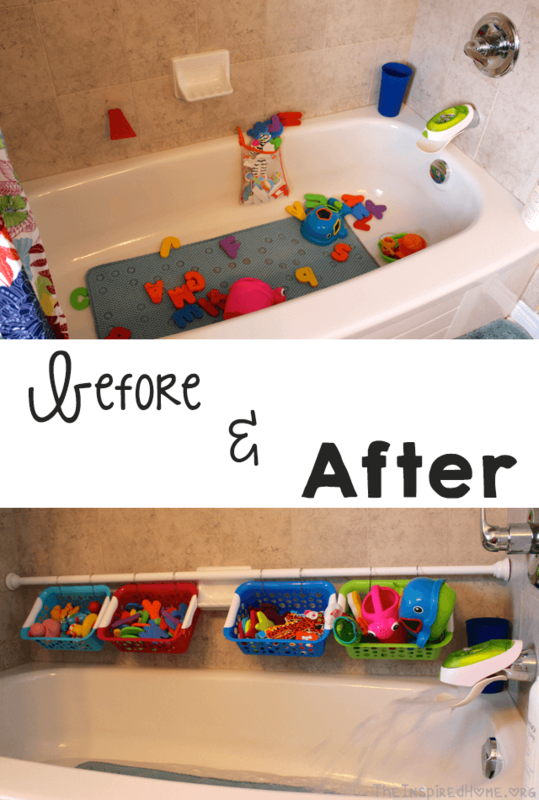 What items are being stored in the bathroom, like kids’ bath toys, or cleaning products, that might make sense in another location? 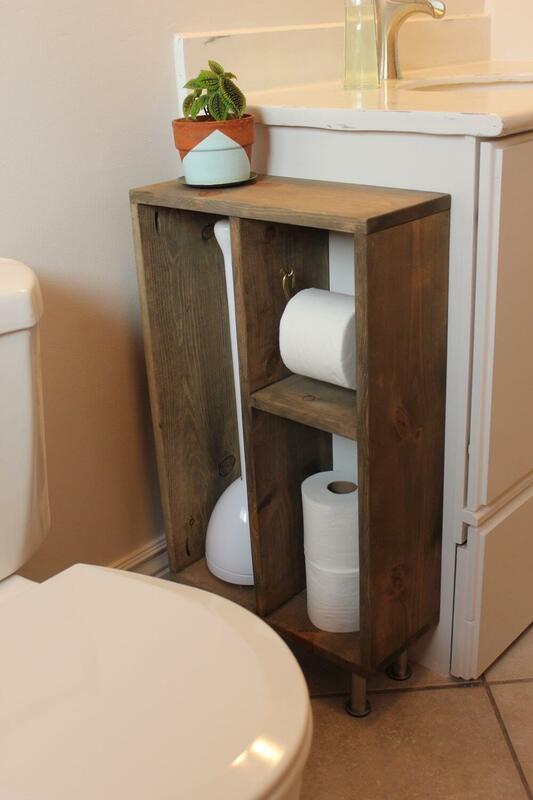 Once you know what kind of storage you need, play to your strengths. 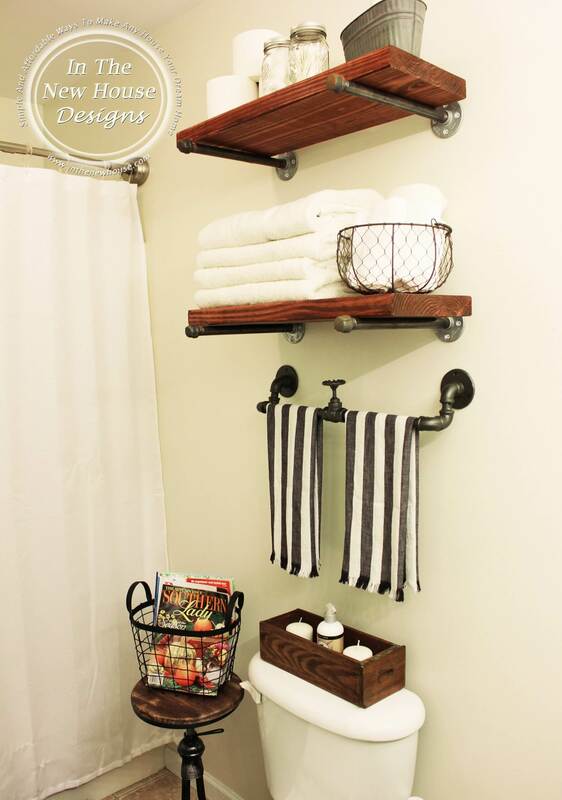 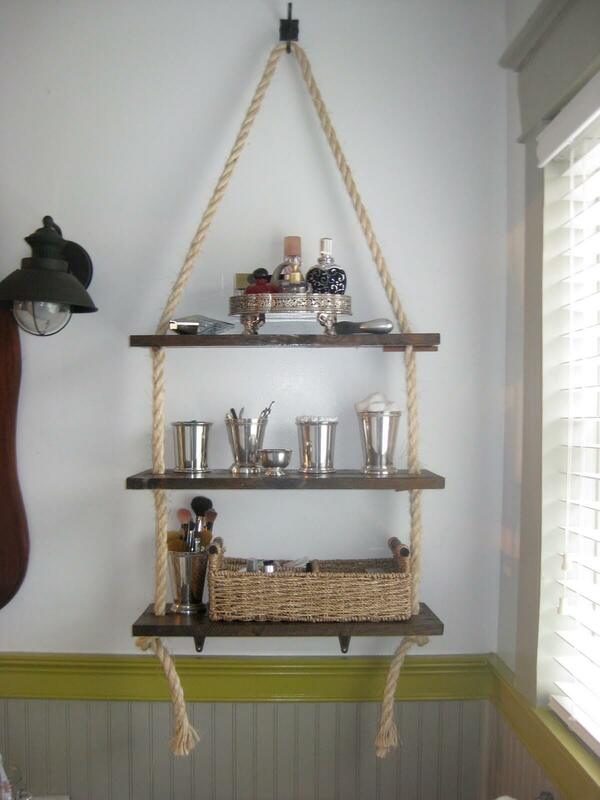 If you’re handy with power tools, consider adding built-in shelves to take advantage of wasted wall space, or adding extra towel racks to hang handy storage baskets. 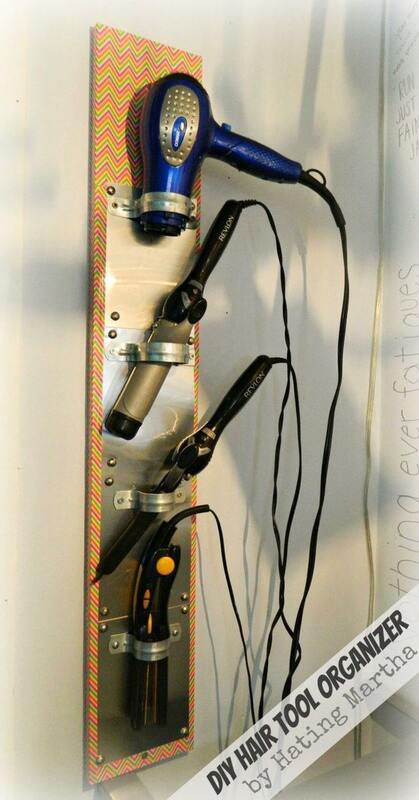 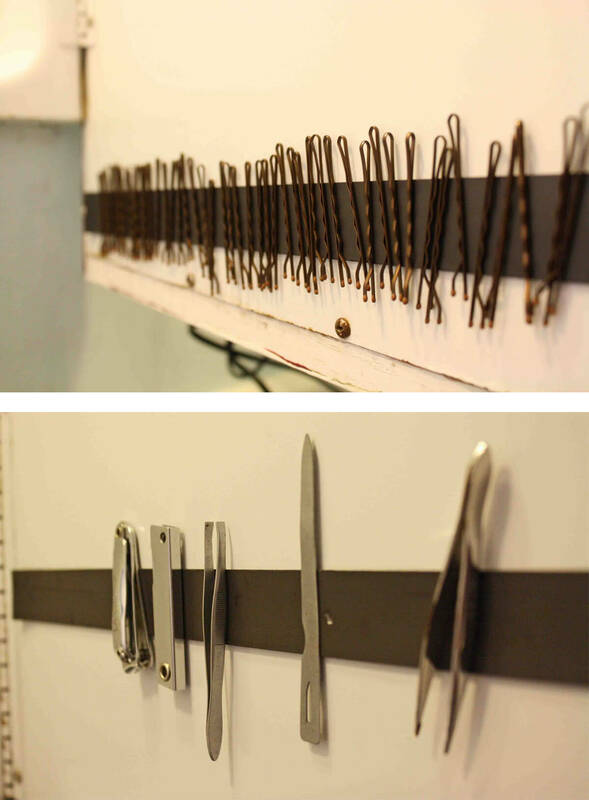 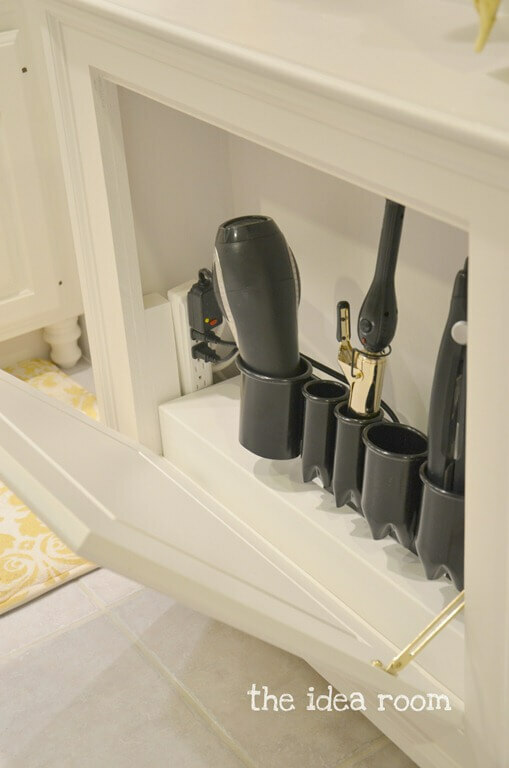 If a smaller update is more your speed, try adding pipe brackets to the inside of a cupboard door to hold hair styling tools or drawer-organizing dividers to keep makeup and nail polish corralled. 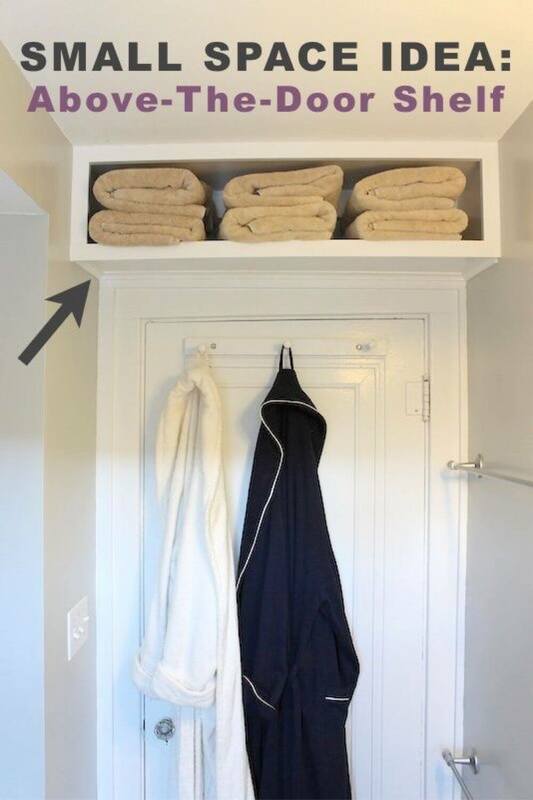 In such a small space, you won’t need to make big changes (or spend big money) to see big improvements. 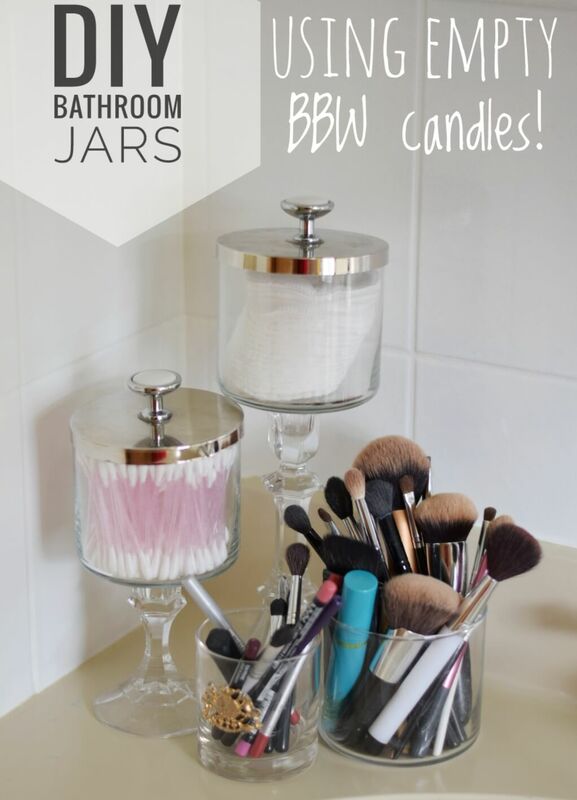 Need more inspiration for your bathroom makeover? 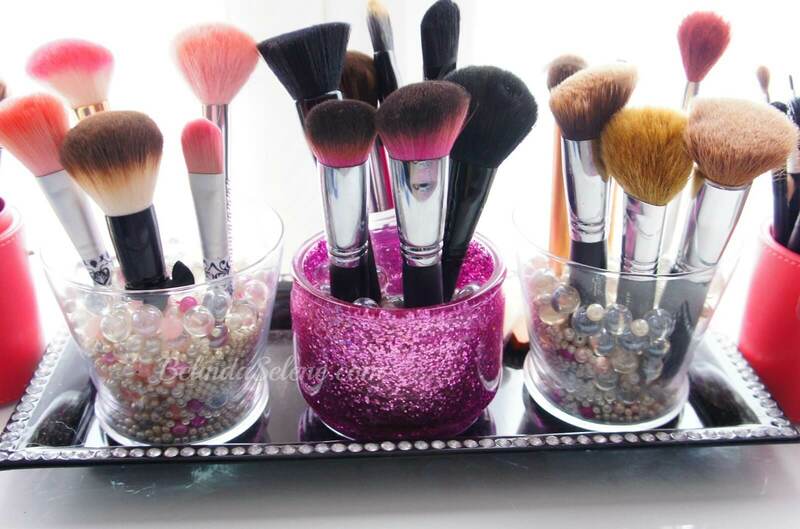 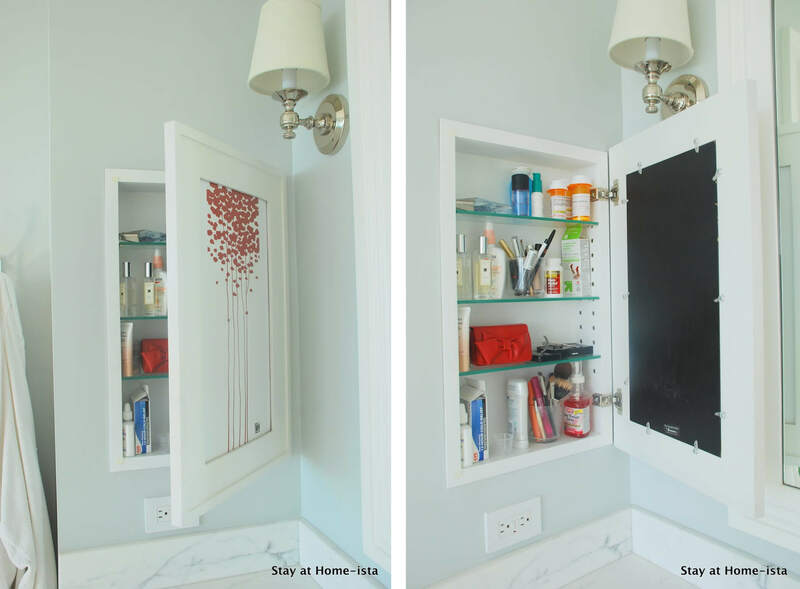 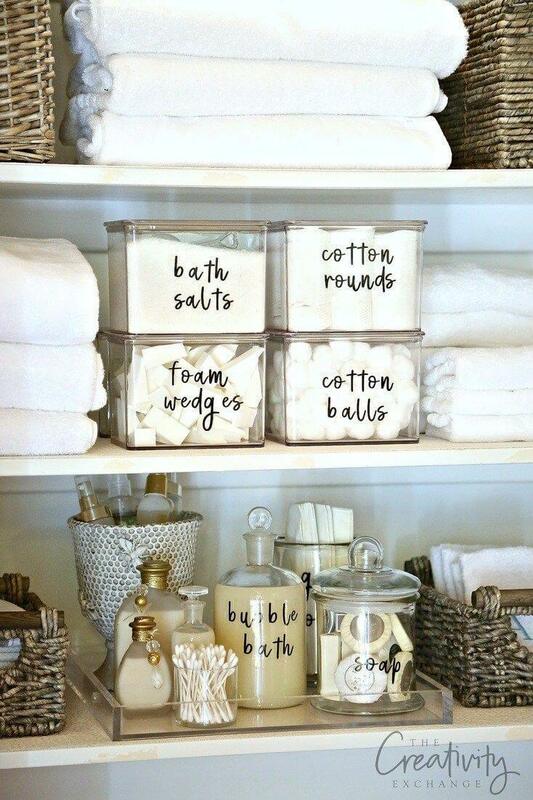 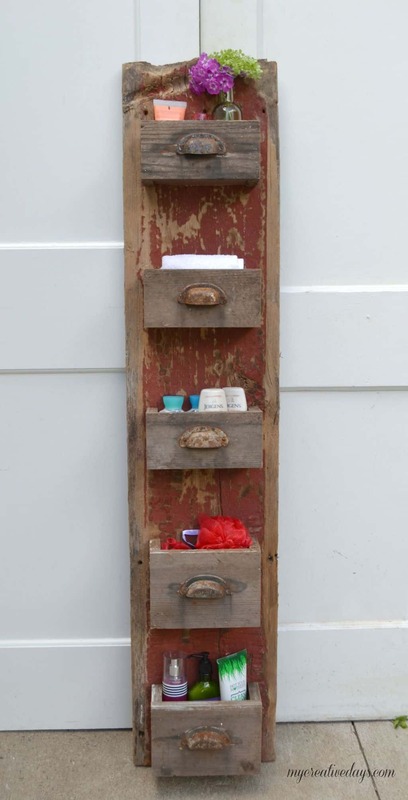 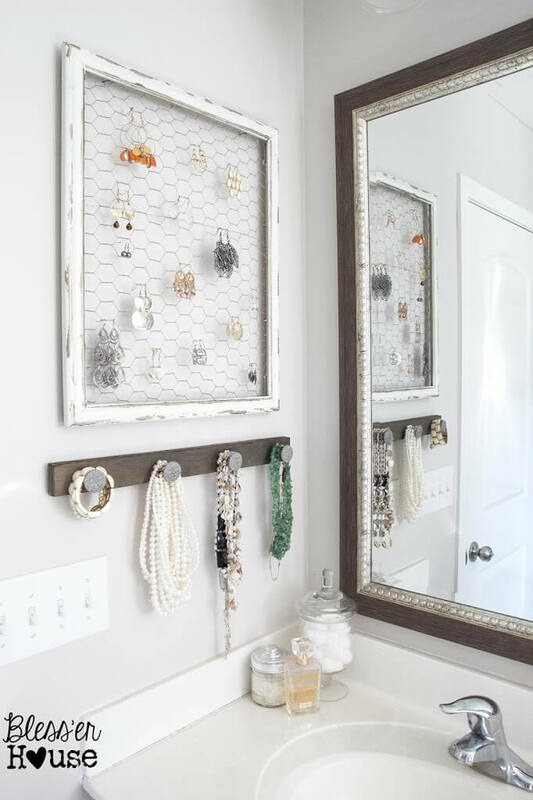 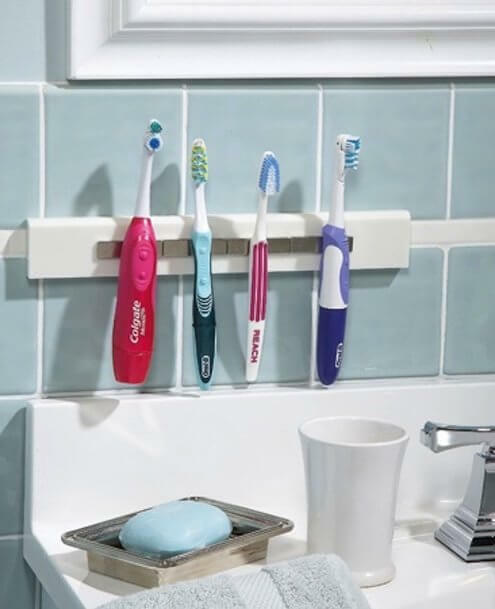 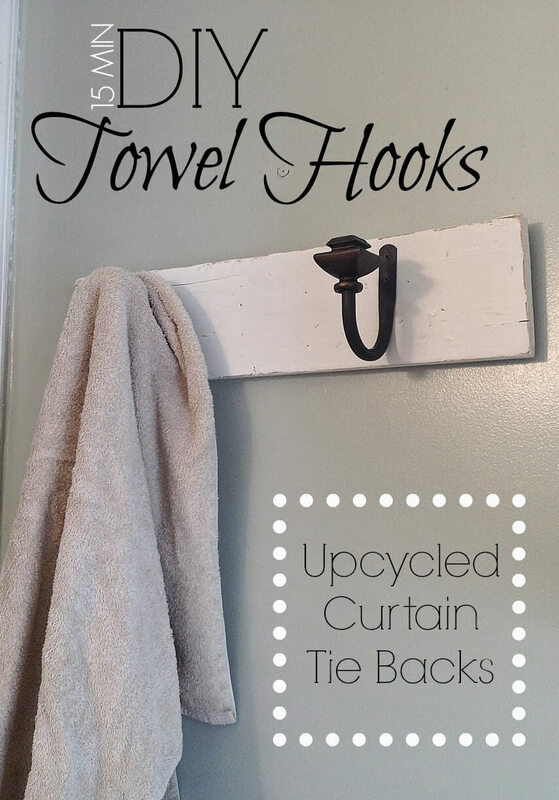 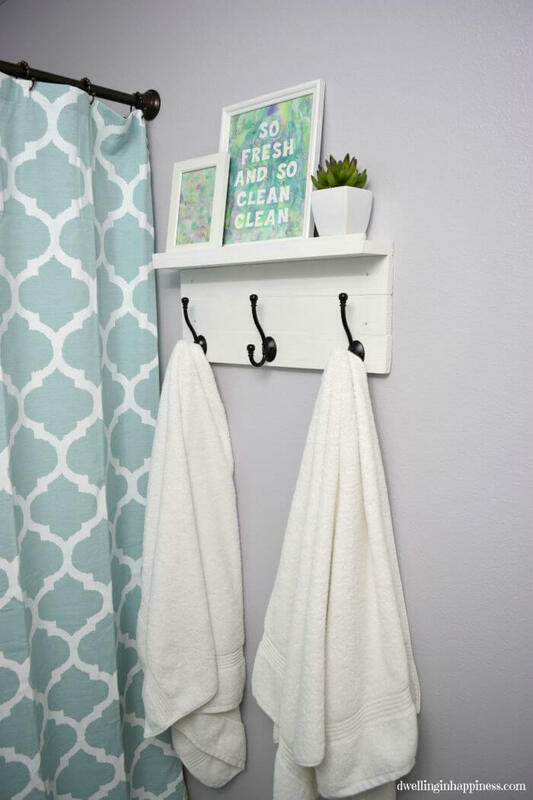 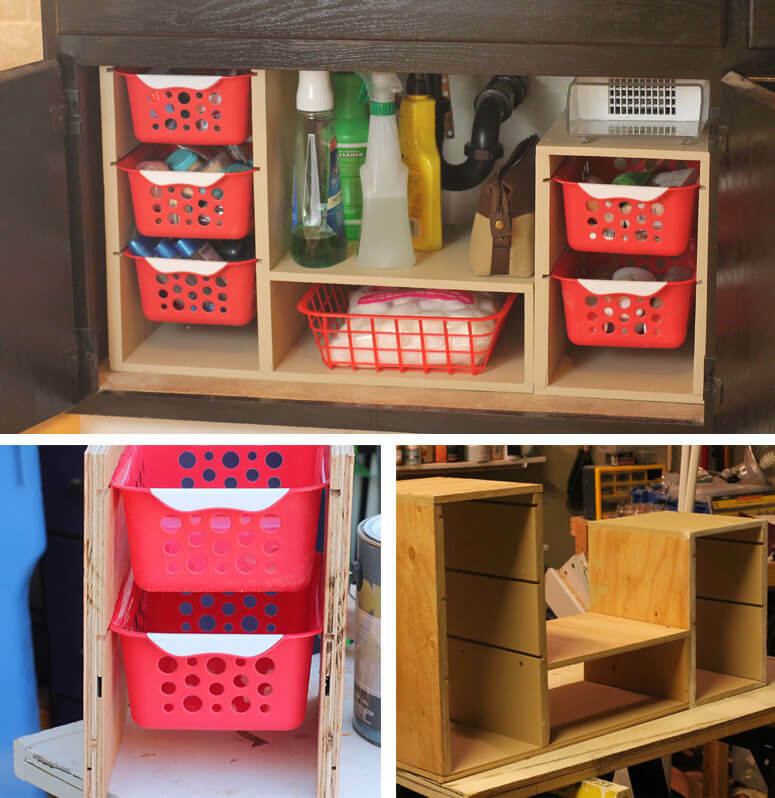 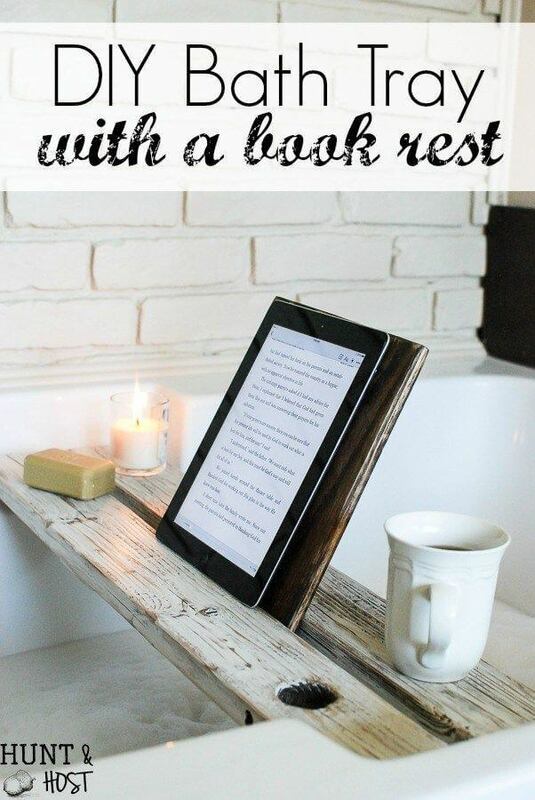 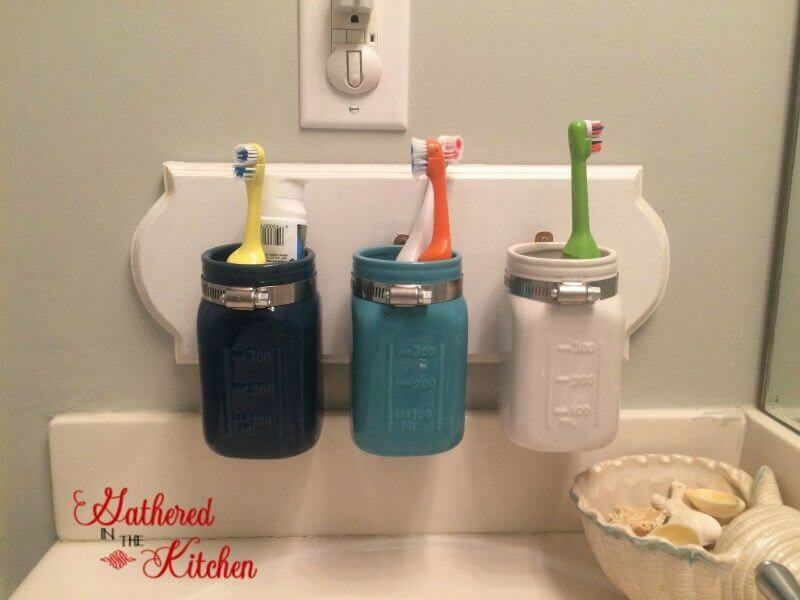 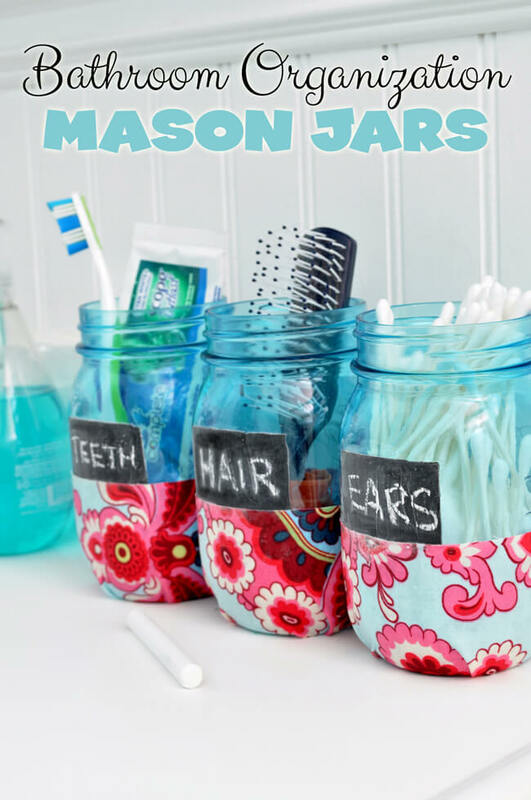 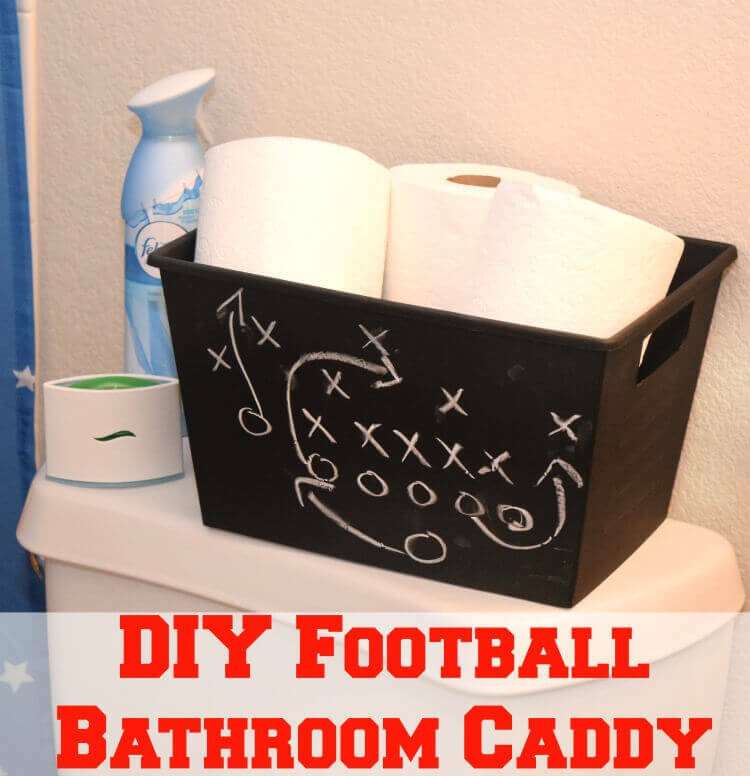 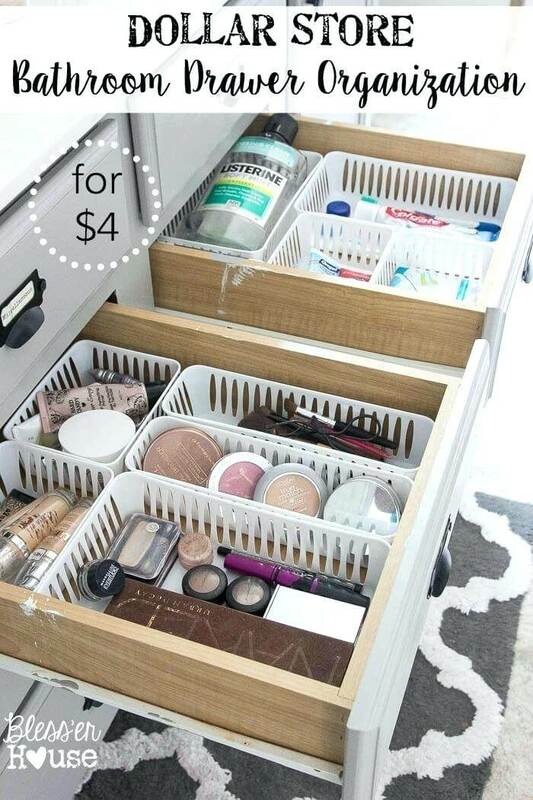 Check out these 42 DIY bathroom storage and organizing ideas that will turn your cluttered space into a relaxing getaway.